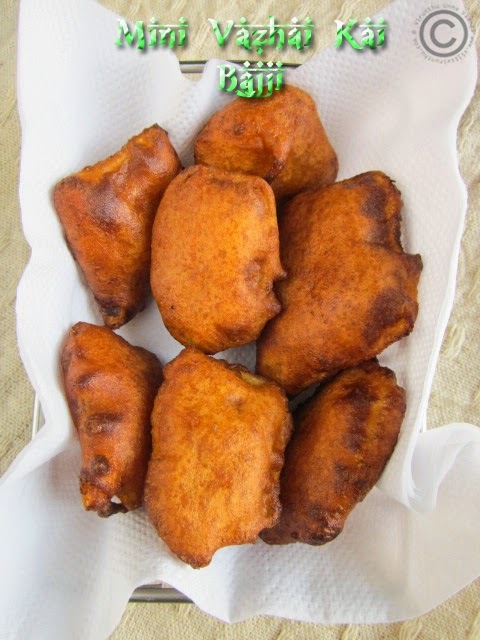 Hi friends, today again plantain family recipe. 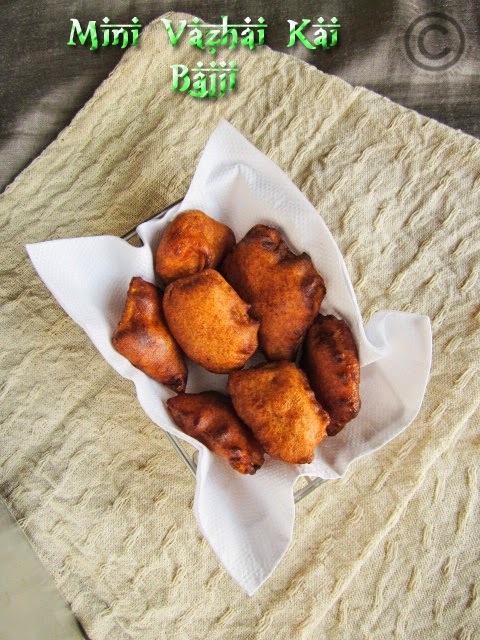 Plantain/raw banana Bajji… Who hates the hot bajji?? 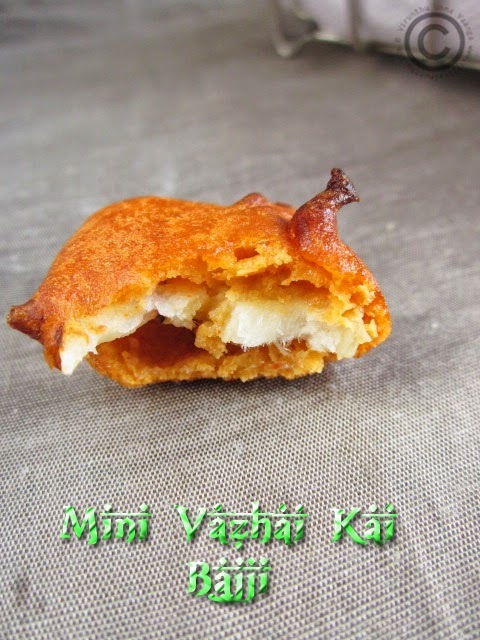 No one… J I love bajji much but will have it rarely, suddenly I crave for the bajji and prepared it as mini size. The size impresses me from temple shops here in my place. Its like bite size fritters and would taste too good. So I wish to replicate the temple shop bajjis and it came out really good taste and crisp. 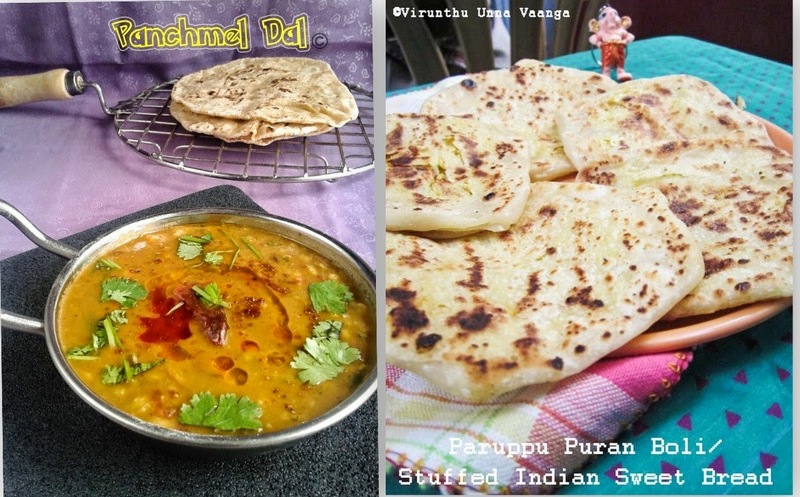 You can make the bajjis with easy ingredients what you having in pantry. I do not use store bought bajji mix as it may contain ajinamoto. So simple, we prepared the batter in our kitchen. I posting the recipe for TST-Tamizhar Samayal Tuesday which is the brainchild of +Nalini aks from Nalini's kitchen. Peel the outer layer of the raw banana and cut into thin slices as I shown in the picture and put it in bowl of water to avoid browning. Put the other ingredients expect water and oil in a wide bowl, add little by little water mix it well without any lumps. 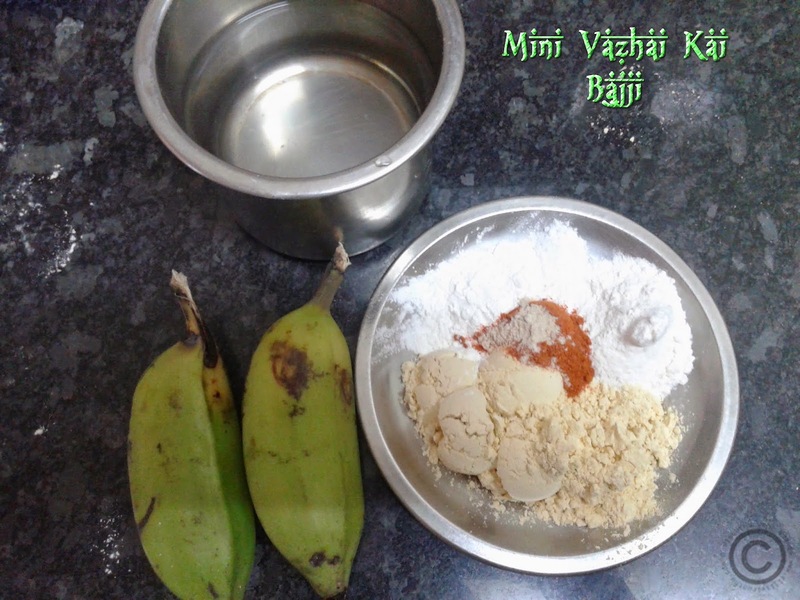 The batter should be semi thick consistency, like idli batter. Heat oil in pan; to deep fry. 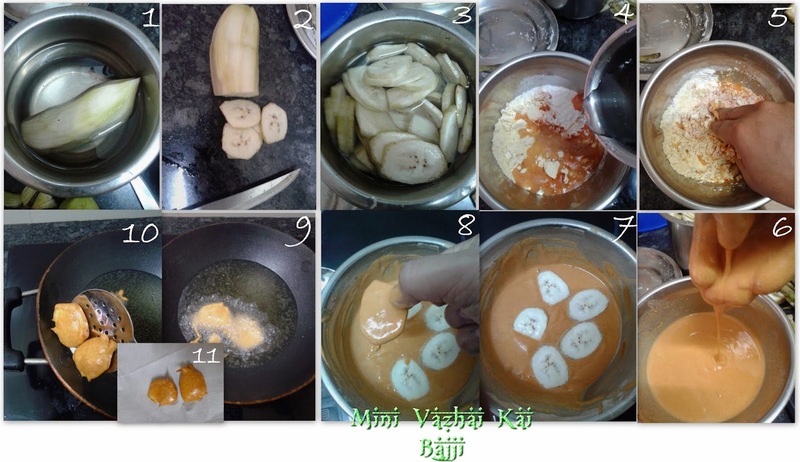 Now add banana slices into the batter one by one and coat it well with both sides and drop into hot oil to fry golden brown on both sides. Drain it on tissue paper and serve it hot. 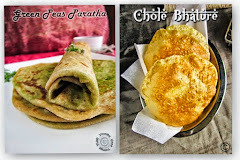 You can make potato, onion bajjis with the same batter. You can slice the banana into long vertically too. Sema treat as evening snack. 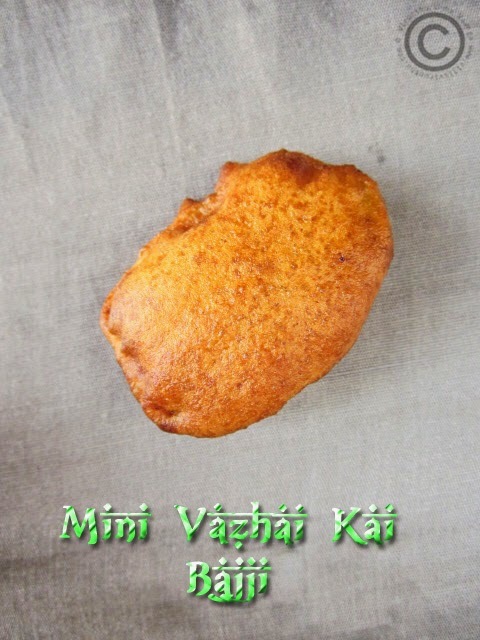 My favourite bhaji .Mini version is apt for making at home . wow.cute luking n tempting too. Looks like a lovely snack!